Denise Hunter is setting up a register for homes able to provide short-term accommodation for violence victims. WOULD you open your doors to a homeless victim of domestic violence? Semi-retired grandmother Denise Hunter is banking on the generosity of our region's residents as she works to set up a national register of householders who could provide short-term accommodation for women and children fleeing violence. However, frontline experts say safety and other issues mean the former Nimbin woman's Airbnb-type concept may prove unworkable. Ms Hunter is using her Facebook page SH.OW - Safe Haven. Our Women to build momentum for the idea. She said a shared housing register would take victims out of motels and refuges and into welcoming family homes. Ms Hunter said volunteers would have to pass mandatory police and child protection checks and the database would only be accessed by domestic violence specialists, police and medical workers. "I felt there had to be a better way than this (refuges and motels)," the former emergency housing specialist said. "So I set up the Facebook page and I was surprised that I got 130 hits - that's potentially 130 more beds (for victims). "The homes would be safe places for the victims to go so they can have some breathing space. "Nothing more would be needed than a cup of tea and a warm bed, a shower and calmness and quietness for a couple of days until the more formal situation could come into play." Homelessness Australia chief executive officer Glenda Stevens said the idea had merit but it would be "cumbersome" to manage at a national level. "It's really important and good that the general community is thinking of innovative ways to help women who are experiencing violence but we must remember that we have to keep the safety of the women, their children and the families who are opening up their homes uppermost in our minds as well," she said. "There are a lot of safety concerns to be considered and also the women who are leaving violence are still in a vulnerable position because it's not permanent housing. "It is not a permanent solution - it's a stopgap that could work in some regional areas." 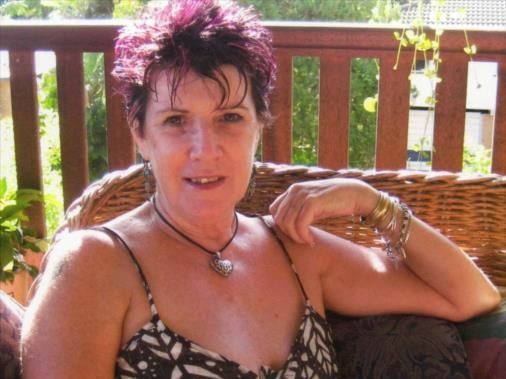 Di Mangan, the chief executive officer of Queensland's only domestic violence hotline DVConnect, said she was concerned about keeping victims safe. "I applaud any initiative that's looking towards developing programs and process to keep women safe but there's a lot that has to be done in terms of safeguards," Ms Mangan told APN Newsdesk. "There are lot of women who would never be able to go that type of arrangement. "I don't know about having a register where people are sent to these places without proper assessments (of the homes) being conducted via face-to-face agencies. "I'd also be worried about an unwieldy type register. "I don't think people would realise what they would be opening their doors to." Domestic Violence NSW chief executive officer Moo Baulch said she had some worries about the idea. "I think there are all sorts of safety concerns and whole lot of other issues that would be necessary to work through," Ms Baulch said. "You have to think of the safety of everybody involved. "And the other thing is we know that women and children who are impacted by trauma need trauma specialist support so really something like that is not going to replace the stuff that specialist services do." *For support, call Qld's DVConnect on 1800 811 811, Men's Line on 1800 600 636, NSW DV Line on 1800 656 463 or 1800RESPECT (1800 737 732).